We’re very excited to announce that our What’s Next 2017 plan is finally complete–that’s right, our Smart Segmentation is now available in beta. With Smart Segmentation, you’ll be able to quickly and intuitively segment your subscribers and customers based on their shopping behavior for better conversions and sales (making a significant part of your email marketing automation strategy). 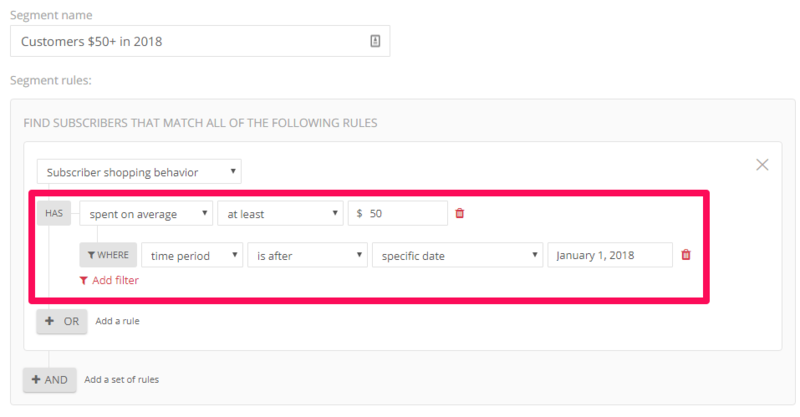 You can also do segmentation based on the list that your subscribers are already in. And, as is our mission, we’ve made it intuitive and simple to use, so you can set it all up in just a few clicks. While segmentation is bigger in certain marketing communities, it is becoming more and more crucial for any email marketer. Unfortunately, not many stores are fully utilizing the potential of intelligent segmentation, meaning they’re essentially leaving a lot of money on the table. Even worse, they’re not providing the relevant content that their subscribers need, meaning they’re missing a major opportunity to build a strong, beneficial relationship with their customers. However, it’s quickly becoming an important email marketing trend to segment when possible. You see, segmentation allows you to supertarget your subscribers and give them the perfect content they want. 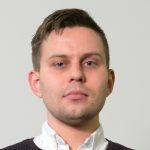 For example, you can segment your list by choosing customers that have purchased a product in the last 30 days, regularly open your emails, and are female. That way, you can send them targeted, irresistible offers that seem almost custom-made for them. After all, every customer enjoys personalized attention, and segmentation is a big step towards that. 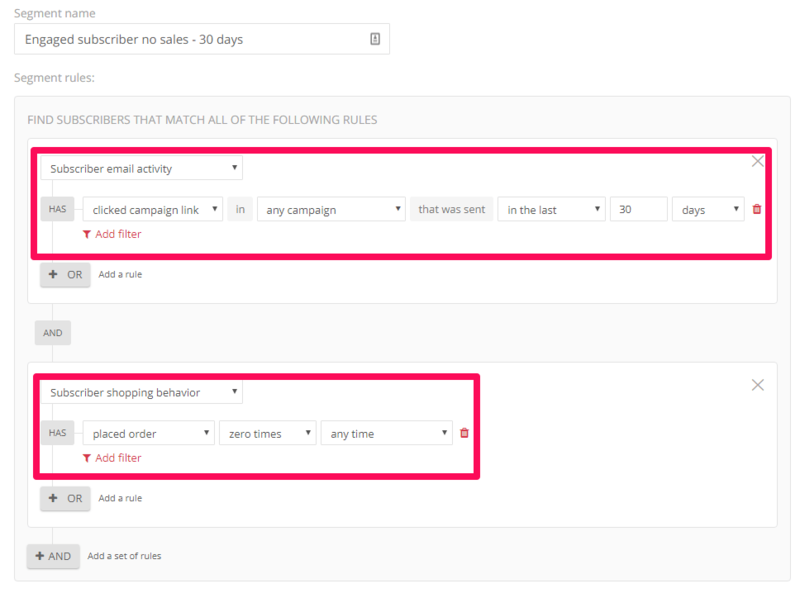 Our segmentation now allows for the ability to send targeted campaigns based on the shopping behaviors of your subscribers, as well as the ability to segment based on subscriber list. We’ve also completed revamped our segmentation features, making it more intuitive to use and easier to set up. 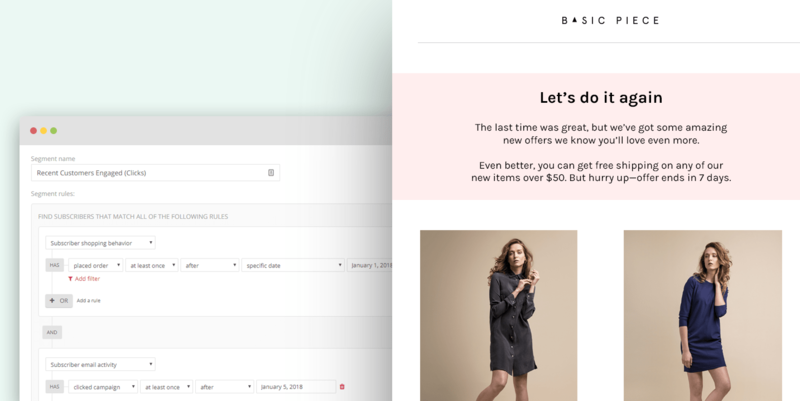 The new features currently revolve around the main shopping behavior of purchased orders. 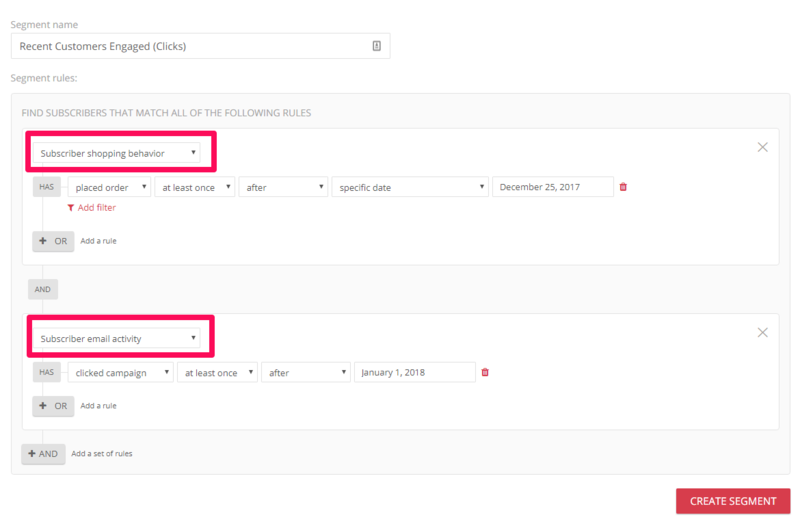 It’s important to note that in order to see results with our new segmentation features, you’ll need to have at least 1000 subscribers. Let’s look at some ways you can use this to your advantage. It’s common knowledge that keep a customer is much cheaper than acquiring a new one, yet many stores focus on customer acquisition, not customer retention. However, after a customer buys from you the first time, they’re more likely to buy from you again. You just need to look for the signs. 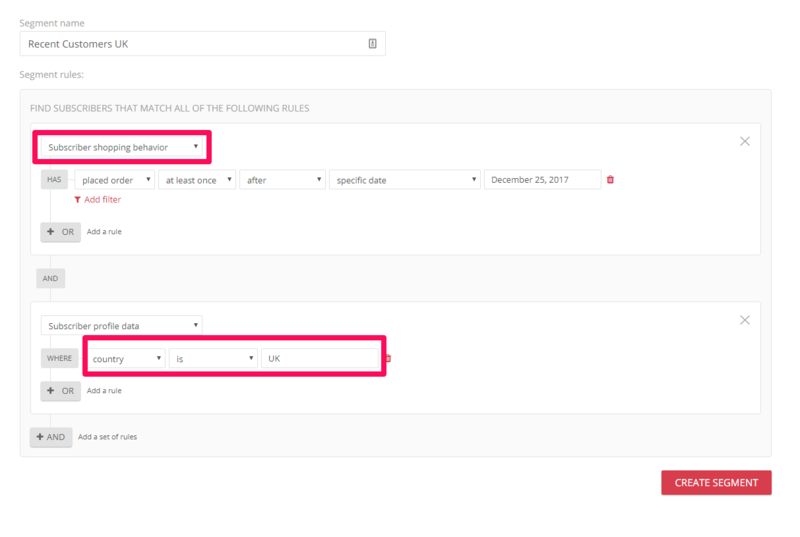 With our new segmentation features, you can see which customers not only placed an order with you in a certain timeframe, but also the ones that engage heavily with your newsletters, by clicks or opens. You can also segment them according to the date of purchase, so that the more recent buyers are your higher priority, or vice versa. Identify them, segment them, and then make them an offer they can’t refuse. Because you probably had some amazing deals during the Black Friday Cyber Monday weekend, and even Christmas shopping season, you were able to get a lot of new orders. However, they may not have bought anything from you since then, as your prices have gone back to regular prices. While this is understandable, there’s no reason to let them fade away. Convert those promotional buyers into repeat buyers by creating a special segment. Then, you can create special offers or a special discount just for them to entice them to buy from you again. While it’s generally not advisable to keep on giving bigger and bigger discounts, you can bundle products or find more creative ways to sell more. 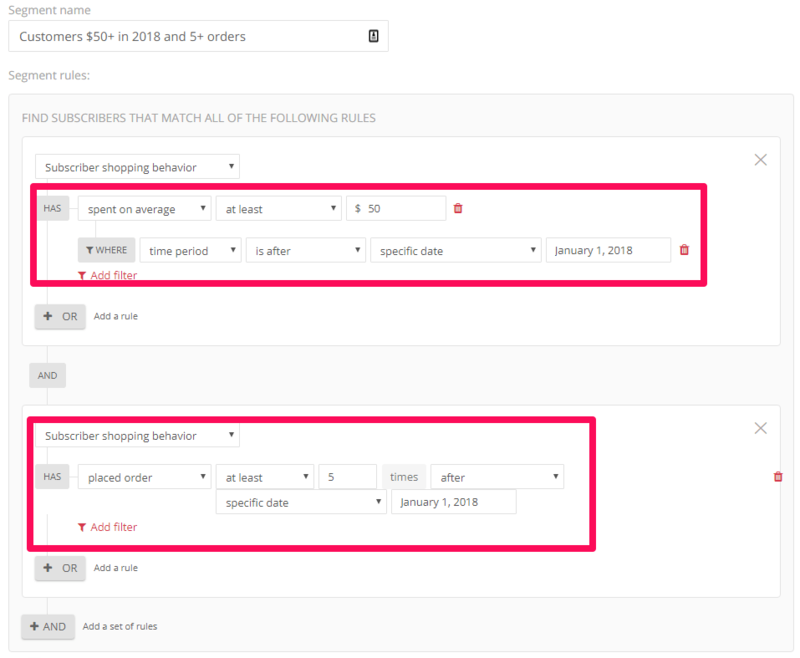 Within the “Subscriber profile data” section of our new segmentation features, you’ll find many criteria you can use in combination with subscribers that placed an order. For example, if you sell country-specific products, you can go after your one-time buyers in a country, city, region or zip code (as long as you’ve collected that data) and offer some amazing products or deals. You can also add another detail: offer these deals or products to men or women only, or stack the subscriber criteria as you’d like for greater targeting. As I’ve mentioned above, it’s important to remember that you’ll need at least 1,000 subscribers in your list to truly see the power of our new segmentation features. For those stores with much bigger lists—first of all, congratulations—you can really create supertargeted offers that will help you really boost your conversion rates and sales. Since you’ve probably created separate lists, you can then segment your subscribers more deeply. Here, for example, I’ll be targeting subscribers who have clicked a link in my emails at least once in the last month, but haven’t bought anything yet in that time frame. That means they’re interested, but they haven’t bought anything yet. All they’ll need is a little push with a well-timed email. For another advanced segment, we can target customers who’ve spent at least $50 on average since the beginning of the year. That way, I can send them targeted offers of free shipping that starts at $50, since I know they’re more likely to spend that much. To make it even more targeted, I can target those who’ve spent $50 on average and have purchased at least 5 times within the same time period. The amount of targeting and creativity you use is up to you. 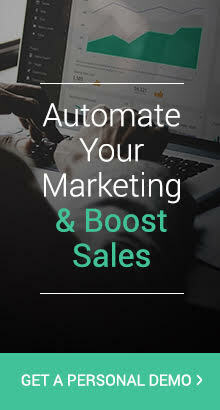 But with better ecommerce marketing automation strategies such as advanced segmentation, you can provide amazing user experiences to your customers while also improving your sales dramatically. If you’ve got the list size, you’ve now got the power to create very specific segments and send tailor-made messages that will definitely increase your conversion rates. 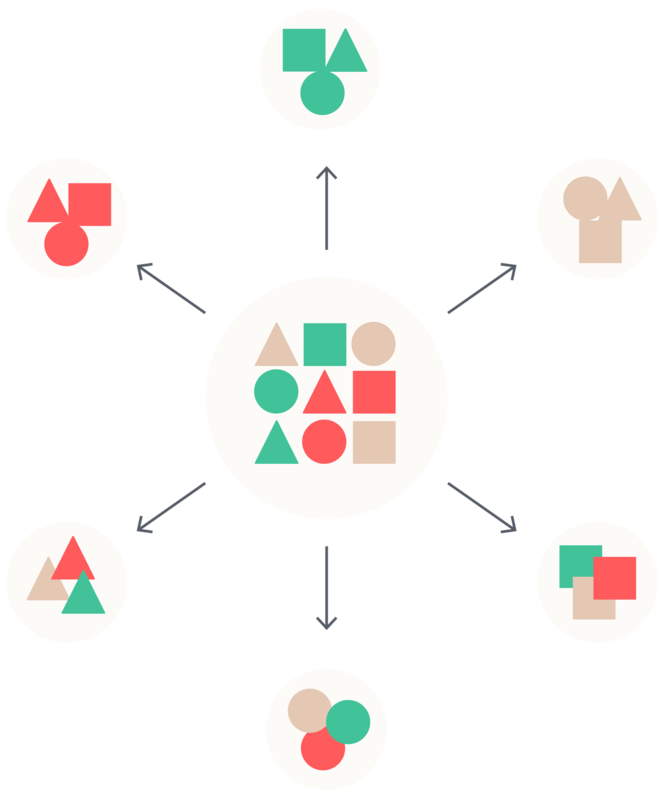 To find out how you can start using these powerful segmentation features with Omnisend, you can check out our Knowledge Base article with detailed steps. If you haven’t yet signed up for Omnisend but want to use our new segmentation, simply registerconnect your store today.